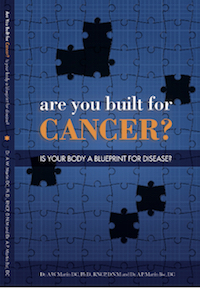 HERE'S YOUR FREE E-BOOK "Are You Built For Cancer?" ➡️Did you know that cancer treatment has barely changed in the last 80 years? ➡️Did you know that excess insulin is a death hormone? ➡️Did you know that there is a new brain test that uses sugar to detect the tumor? ➡️Did you know that this book could save your life? Is your body a blueprint for disease?